Mayor Mauricio Macri, today (7 March) officially welcomed the FIA Formula E Championship to Buenos Aires as one of 10 global cities to host the new fully-electric racing series. 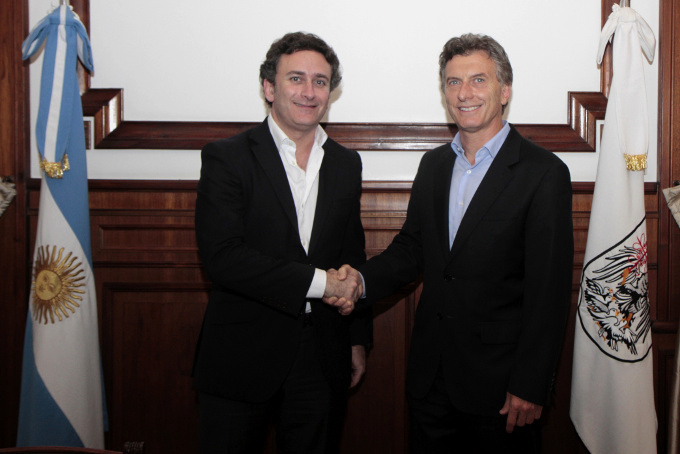 Together with the CEO of Formula E Alejandro Agag, the Mayor signed an agreement which will see the Argentinean capital host Formula E races for the next three years, beginning with the city’s first electric Grand Prix on 10th January 2015. Buenos Aires joins a list of nine other cities to be announced for the inaugural season and one of three races taking place in South America. Formula E is a new FIA Championship using electric single-seater cars capable of speeds in excess of 225km/h. Beginning this September, the series will compete in the heart of 10 of the world's leading cities with 10 teams, each with two drivers, going head-to-head to create a unique and exciting racing series designed to appeal to a new generation of motorsport fans. Circuit layouts for the Buenos Aires Formula E Grand Prix are currently being finalised with the confirmed route expected to be unveiled in mid-May, although it will remain subject to FIA track homologation. As with all Formula E events, the race will take place in one day, incorporating the city as a backdrop and providing a great spectacle for the local people.